A great remedy for vertigo. Vertigo when lying down and when turning over in bed, when turning head sideways, especially towards the left or turning eyes. Vertigo as though the bed and things in the room are turning in a circle. Vertigo on rising from bed in morning, when walking, rising from a seat, watching moving objects. Vertigo of old age, of excessive—smoking. Vertigo with rush of blood to the head. Vanishing of sight and roaring in ears, nausea, debility, palpitation in head. Vertigo as if objects turned in circle or swayed to and from. Tendency to fall backward or to the left side. Vertigo with sensation as if sinking through the bed. Vertigo worse turning and rising from stopping, turning over in bed, motion. Vertigo with nausea and fainting. Vertigo felt in occiput. Vertigo as if all objects whirling, as if head turning in a circle. Dizzy and faint on raising head, as if intoxicated. Vertigo only when stooping, rising from a chair or bed, on raising the head. Better after walking, sitting or lying down. Giddiness as if drunk, with dimness of sight, chilliness. Head feels light and large. Vertigo increases gradually. Spreads from occiput overhead. Sensation of falling. Vertigo from heat of sun. Vertigo from digestive disturbances, constipation, from high living, debauchery, alcohol, smoking, drinking coffee, mental exertion etc. Vertigo and momentary loss of consciousness. Brain turning in a circle. Room and other objects turn in circle. Feeling as if he would fall to one side or backward. Must grasp something to avoid falling. Vertigo with vanishing of sight and hearing. Vertigo in the morning and after dinner. Vertigo rising from a sofa or bed or raising head. Phos. is useful for chronic vertigo of aged people. Head feels giddy and heavy, followed by nausea and headache. 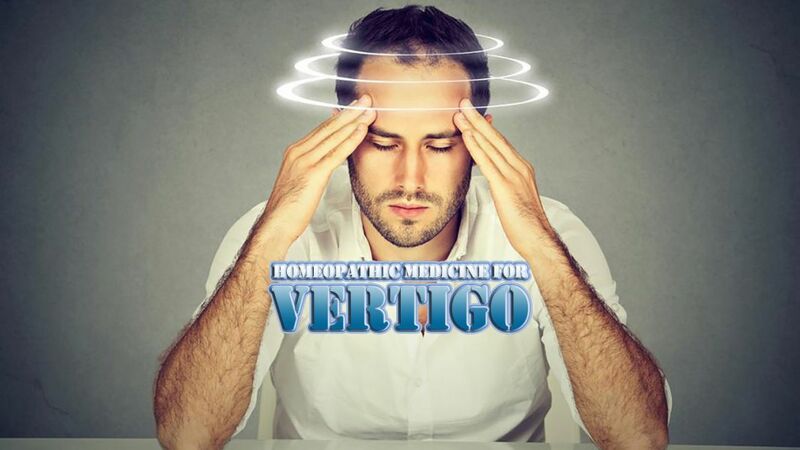 Frequent attacks of vertigo at different times and at different hours in the day. Vertigo looking upward and downward, rising from a seat, rising from bed in the morning, after meals, lying left side, mental exertion. Vertigo when seated. Feels as if the chair on which he is sitting is rising and as if he is looking downward. Things move up and down. Better stool after, washing head with cold water. Vertigo with nausea and heavy head. Vertigo on rising from a seat. Vertigo, especially when sitting, looking upward or when sitting or stooping. Better walking in open air, cold. Vertigo in the morning on rising. Vertigo when looking at revolving objects. Objects seem to turn in a circle. Worse walking in the open air, rising from a seat. A good remedy for chronic vertigo and vertigo during pregnancy. Vertigo with tendency to fall, especially to the left. Vertigo during which everything seems to turn in a circle. Vertigo with flickering before eyes. Vertigo from coffee, tea, alcohol, tobacco. Vertigo felt in occiput. As if intoxicated or like a sea-sickness. Vertigo on stooping, on closing eyes, rising from a seat or bed. Vertigo due to excessive smoking. Vertigo with heaviness of head. Vertigo with sweat, nausea, paleness of face. Worse indoors, rising, looking upward, opening eyes. Vertigo connected with digestive troubles. Vertigo from riding in a carriage. Vertigo with flushed, hot face and head. Vertigo as from intoxication, with nausea. Inclination to vomit when rising up in bed, must lie down. Vertigo on watching moving objects. Worse sitting, from loss of sleep, rising from bed. R.T. suits vertigo, especially in old people, which comes on as soon as the patient rises from a sitting position. Vertigo while walking, as if he would fall forward or backward. Vertigo with heavy feeling in legs. Vertigo when lying down, with fear that he would die. Vertigo worse on looking up and turning the head quickly. Vertigo in the morning on rising from a sitting or stooping position. Vertigo with sensation as if head became suddenly elongated. Vertigo with urging to urinate. Vertigo ameliorated by warm soup. Vertigo ameliorated by drinking water.